What is Pediatric Palliative care ? “Palliative care for children is the active total care of the child’s body, mind and spirit, and also involves giving support to the family” quoted from WHO website. The goal of pediatric palliative care is to improve the quality of life for both the child and the family. It is provided by a team of Doctors, nurses and other staffs in collaboration with other Doctors who is treating the child. Pediatric Palliative care involves any kind of serious medical condition such as Genetic disorders, cancers, heart and lung conditions etc. Pediatric Palliative care targets to relieve symptoms, pain and emotional wear-and-tear. When a child is diagnosed with terminal illness or serious medical condition, a Palliative care management should be provided. Palliative care treatment and curative treatment runs simultaneously. Pediatric palliative care teams manage common symptoms, such as pain, shortness of breath, depression, anxiety, nausea, spasticity and seizures. It helps the child and the family to deal with the challenges throughout the whole period. Pediatric Palliative care can be provided at home, in community or in the hospital. It helps the parents to take right decision about how to approach to such child. It is almost similar to adult palliative care but there are some differences. Hospice is a specific type of palliative care for people for whom a cure is no longer possible and who likely have six months or less to live. Hospice care is a type of care and philosophy that mainly focuses on the palliation of a chronically ill, terminally ill or seriously ill patient’s pain and symptoms, and attending to their emotional and spiritual needs. Its an old concept that evolving from centuries. Hospice can be provided at inpatient facility or at the patient’s home. We got a booklet named by “Oral Morphine in Advanced Cancer” written by Robert Twycross. He was a pioneer of the hospice movement during the 1970s. He helped palliative care gain recognition as an accepted field of modern medicine. Initiative has been started in Bangladesh for Hospice care. Hospice Care In Bangladesh is provided by Hospice Bangladesh, a home and palliative care center located in Mohammedpur, Dhaka. It provides Palliative Care to adults and children with life limiting illnesses through the inpatient, Home and Day Care services. It is founded by Dr. Shahinur Kabir. You can find out more about the work of Hospice Bangladesh on their website http://www.hospicebangladesh.com/. 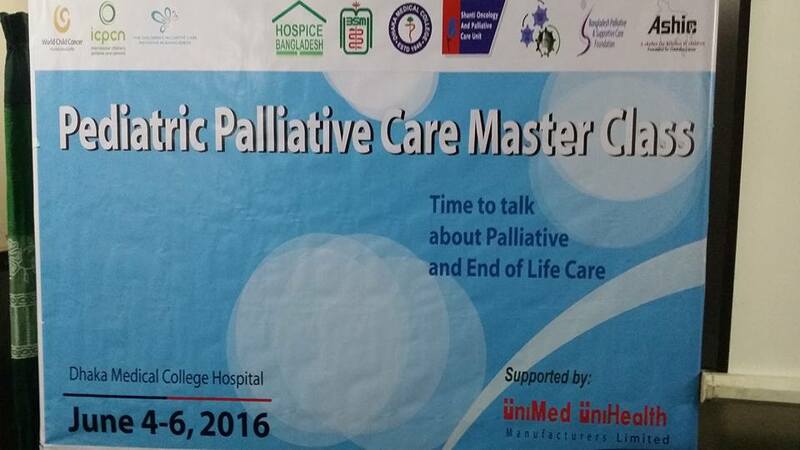 I attended Pediatric Palliative Care Master Class in Dhaka Medical College Hospital, Pediatric department today. It got my attention and i have tried to find out the scope of Pediatric Palliative care in Bangladesh. The idea of pediatric palliative care is not old. 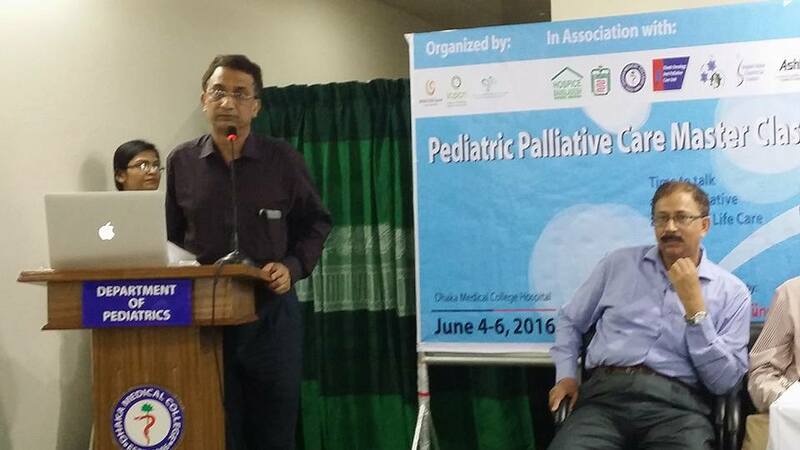 Its a shocking news that there are only 2 doctors in whole Bangladesh who is trained in children’s palliative care. They are Dr Megan Doherty and Dr Zohora Jameela Khan. Today’s session was about the Formal release of National Paediatric Palliative Care Policy and Guidelines of Bangladesh. It is a 3 days long workshop participated by the selected doctors and nurses. 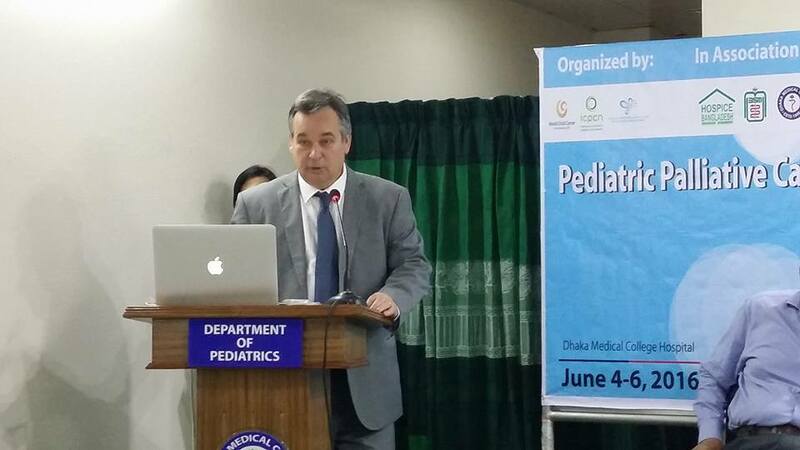 World Child Cancer and International Children palliative Care Network organised the program. Paediatric Hematology and Oncology Dept. 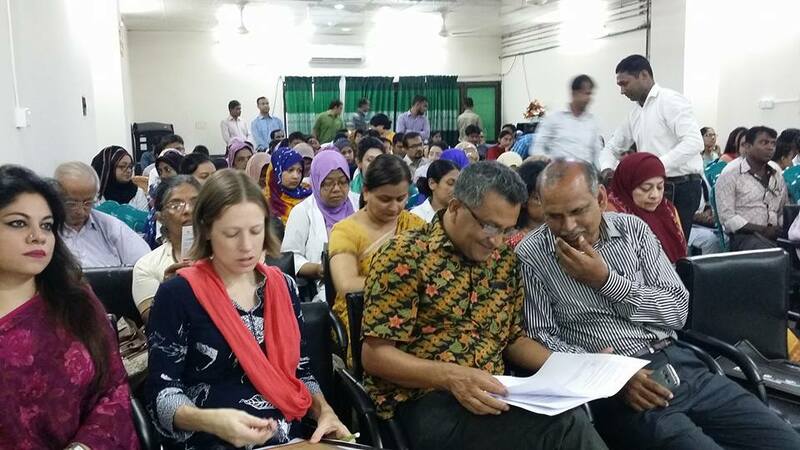 of Dhaka Medical College Hospital is the host of the workshop. Dr Zohora Jameela Khan: Associate professor (Pediatric Hematology & Oncology) at Dhaka Medical College Hospital. She is one of the pioneer in bringing the focus on needs of Pediatric Palliative Care. 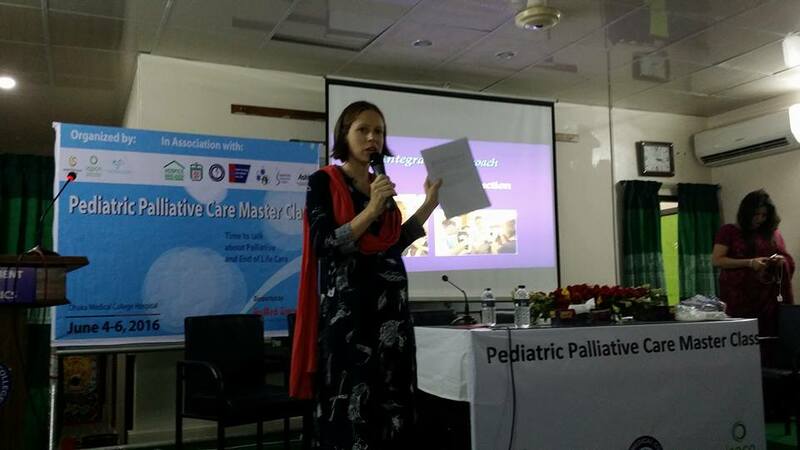 Dr Megan Doherty: A Canadian paediatric palliative care doctor, began working at BSMMU in Dhaka. She is from Ottawa, Ontario. I liked her the way she smiled. That smile can bring happiness to a ill child. She was working hard to make Morphine syrup available to treat pain in children’s with the help of other physicians. 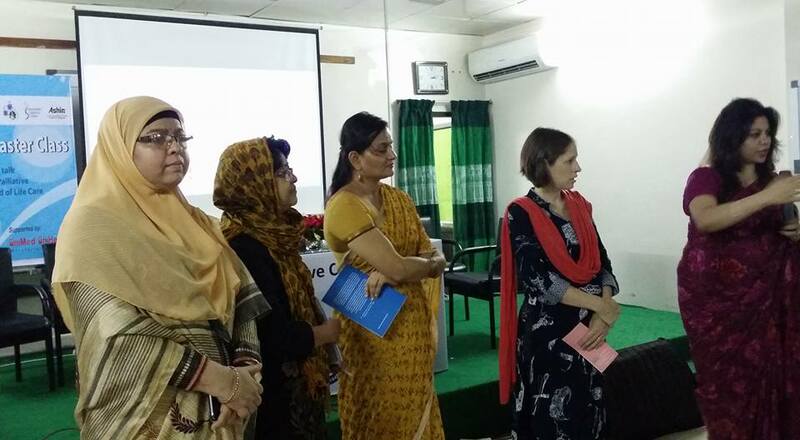 The International Children palliative Care Network (ICPCN) is working closely with them to provide training and support in children’s palliative care for doctors and nurses all over Bangladesh. Non-profit charity organization started in May 2006 with funding from UICC. It is the first and only facility in Bangladesh to offer palliative care to the terminally ill children. It is founded by Salma Choudhury named after her son Ashiq Hossain Choudhury. She is also the Chairperson of Ashic. Dr. Rumana Dowla: She is the first certified and trained Palliative Care physician in Bangladesh. After completing her MBBS from the prestigious Lady Hardinge Medical College, New Delhi, Dr Rumana was awarded the Commonwealth Scholarship in 2008 to pursue a Masters in Palliative medicine from Cardiff University, UK. 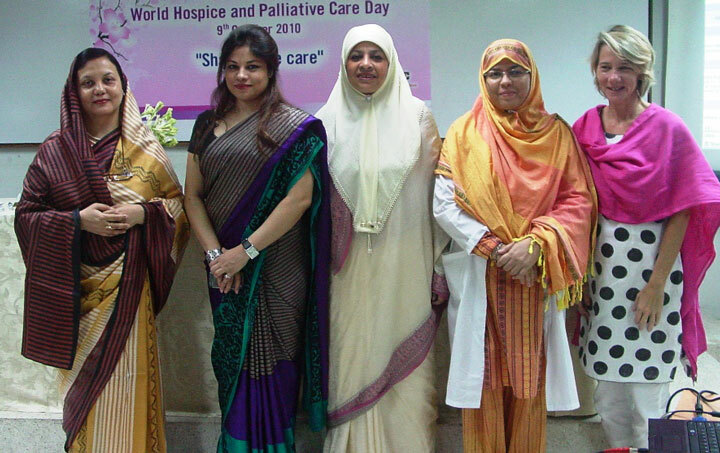 Currently, Dr Rumana provides palliation to patients and their families through Bangladesh Palliative and Supportive Care Foundation (of which she is the founder Chairperson), at United Hospital and honorary service at BSMMU Hospital and National Institute of Cancer Research And Hospital (NICRH). Venue: Pediatric Class room, Dhaka Medical College Hospital. 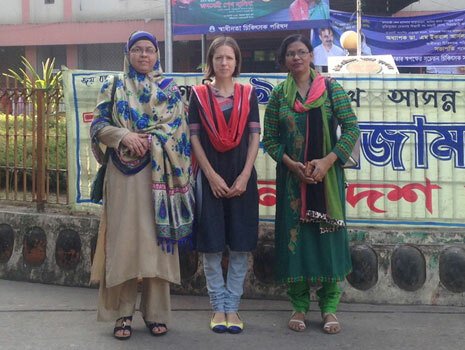 Dr. Megan Doherty is the Project Lead, Children’s Palliative Care Initiative Bangladesh. Pediatric Palliative Care Consultant, World Child Cancer. Hospice Bangladesh addresses nurse burnout by facilitating social connections By Shahinur Kabir. The need of hospice and palliative care in Bangladesh Dhaka Tribune By Shahinur Kabir. Dying old and alone in Bangladesh By Tahmima Anam, Author of the novel A Golden Age. Thanks for going through this Anaconda post.